According to the FDA, the Bose self-fitting hearing aid is intended to amplify sound for individuals 18 years of age or older with perceived mild to moderate hearing impairment. It is adjusted by the user to meet the user’s hearing needs. No pre-programming or hearing test is necessary. The device is intended for direct-to-consumer sale and use without the assistance of a hearing care professional. 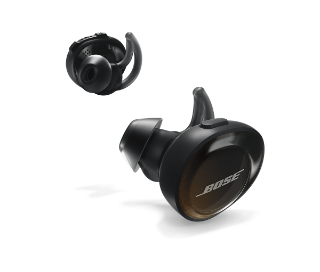 Although the latest FDA documentation clears the way for Bose to sell its new Hearing Aid, the company has not yet said when it plans to go to market. 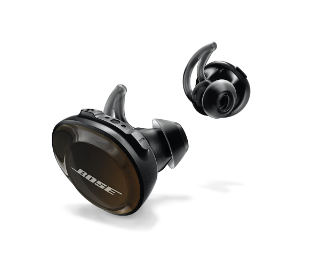 Like the Hearphones, the Bose Hearing Aid will feature Bluetooth audio streaming from smartphones, for both music and phone calls. 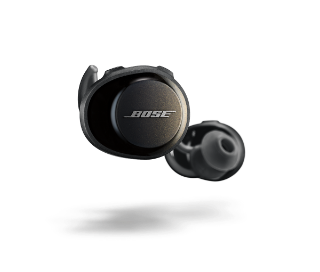 The Bose Hear mobile smartphone app works with both iPhones and Android smartphones. 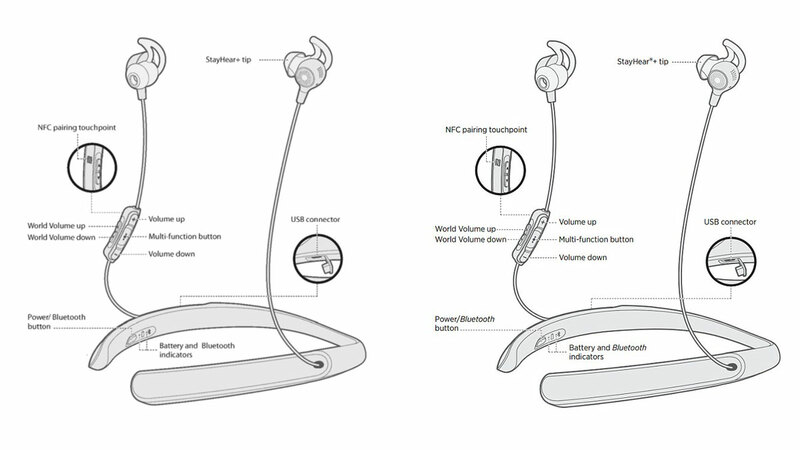 Bose Hearphones users will find familiar device configurations including “World Volume” and “Treble/Bass” gain settings. The settings are preserved between use sessions and the settings from the previous session are recalled upon power-up of the device. A set of manual buttons located on one of the cables from the neckband can also be used to adjust both the “World Volume” and directional mode. Hearing aid signal processing includes 12-channel wide dynamic range compression amplification with compression thresholds fixed at speech-equivalent 52 decibels (dB) sound pressure level (SPL). Noise reduction is continuously active, lessening environmental noise and decreasing amplification of the user’s own voice. Among two groups of users, one with a professional fitting and one that used the self-fit software, the studies concluded that: Subjects in the self-fit group were satisfied with (or preferred) their own settings to the professionally-selected settings more than were/did subjects in the professionally fit group. The subjects in the self-fit group rated themselves significantly happier with the sound quality than did those in the pro-fit group. There was no difference in speech intelligibility benefit between the self-fit and pro-fit groups. Rechargeable Hearing Aid batteries may be repeatedly charged and are typically charged every night to provide continual daily use. The daily battery life varies by battery size, chemistry, the amount of energy stored in the battery, the hearing aid programming,and the listening habits of the user. The batteries themselves will typically last as long as one year. There are 3 major types of rechargeable batteries. Nickel metal hydride (NiMH) hearing aid batteries do not have sufficient energy to last a full day. In addition, they cannot be charged more than 300 times (i.e., cycle life) and, therefore, do not last a full year. Silver-zinc batteries offer greater daily and overall battery life than NiMH batteries. Silver-zinc batteries operate on a lower voltage,(1.6-1.7V) and are non-toxic and non-flammable, and there are fewer risks if swallowed or ingested by their family, or pets. Lithium-ion batteries, on the other hand, operate at a higher voltage (3.6-3.7V) and do carry considerable risks related to flammability and toxicity. Due to these risks, lithium-ion batteries are sealed into the hearing aid case. Silver-zinc rechargeable hearing aid batteries are often removable from the hearing aid case, and interchangeable with disposable zinc-air batteries. This provides flexibility to hearing aid users when they go “off the electric grid”, or there is a power outage and need to use disposable batteries temporarily. Forgetting to charge your hearing aid batteries is also less of a problem when disposables are available as a backup. 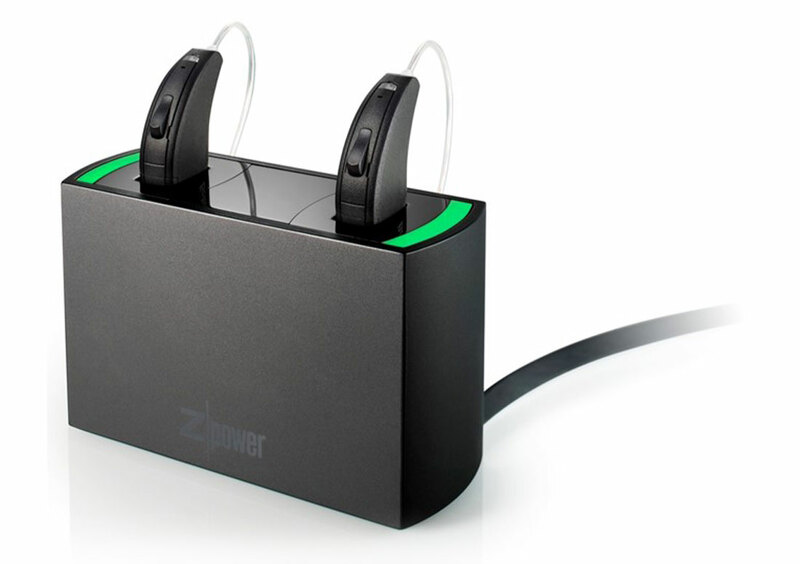 How long do rechargeable hearing aids last on a single charge? Depending on the hearing aid model, and the number of hours of wireless streaming, the rechargeable batteries provide anywhere from 7.7 (with full time streaming) to 24.7 (without streaming) hours of use time. But, wireless streaming has a significant impact on how much life you can expect out of your hearing aid battery. Modern hearing aids employ a number of advanced features, which provide louder, cleaner, more comfortable sound. Technologies like noise suppression and feedback cancellation continuously monitor and process sound in the hearing aid built-in computer. This increases power consumption leading to higher battery drain. These features not only differ among the hearing aids but also by the hearing aid user.As an example, a person with a more pronounced hearing loss may require more feedback cancellation and result in a shorter battery life. A significant amount of energy is used every time you stream audio from your smartphone, TV, iPad, or other wireless accessories. Wireless streaming also happens when your left and right hearing aids communicate with each other to exchange audio or data. For those with more severe hearing loss this means more power consumption. Also, if one ear has more hearing loss than the other ear, the battery life on the more impaired ear could be shorter. Battery current drain refers to how fast the hearing aid drains power from the battery. Hearing aid manufacturers typically publish current drain figures for every new hearing aid they produce. When current drain is measured by the manufacturer, hearing aids are put into a “test mode,” which disables advanced features and wireless connectivity which under-states true battery drain in actual use. Rechargeable hearing aids should be charged every night to maximize battery life. If you charge the battery every other night, this will not help extend the battery life, and could lead to issues down the road. Silver-zinc chemistry must have the opportunity to recharge to full capacity every night to get the best performance from the battery. Leave your hearing aids in the charger when they are not being worn. The charger will not overcharge the hearing aids and will ensure the batteries stay at full charge. Leave in the charger when not in use. Do not unplug the charger while the hearing aids are inserted. If the charger is not receiving power, then the hearing aids will automatically be turned on. This will cause the hearing aids to turn on, and the batteries to begin discharging. Remember, your hearing aids may take up to 7 hours to recharge fully, and the charging lights will turn from blinking to solid green when charging is complete. Short term storage – If you don’t plan to wear your hearing aids for a few days,leave the hearing aids in the charger with the charger plugged in. Long term storage it’s best to remove the rechargeable batteries from your hearing aids and store them separately. How will the new Widex and Sivantos MERGER effect the hearing aid community? I will review some of the probabilities. Usually, when two big companies combine in an industry that’s already highly concentrated, antitrust regulators are suspicious. It can mean less competition, higher prices, slower innovation, and weaker customer service. But the hearing-aid industry is already in the midst of technology-driven economic change. New low-priced competitors are now challenging the Industry leaders by taking advantage of constant reductions in the costs of advanced hearing-aid technologies. And in the U.S., the “Over-The-Counter Hearing-Aid Act” Which deregulated hearing aid sales is expected to continue making it easy for new competitors to enter the retail market. The largest Six hearing-aid manufacturers have already responded to increased competition by lowering prices for their entry-level products. At the same time, they have consolidated their leadership in the premium-priced high end of the market with a succession of new, high-tech innovations. And the profits from those high-end sales are helping them continue their traditional investments in hearing-technology improvements. Widex and Sivantos MERGER should be able to compete more effectively at the entry level on price with affordable, high-quality products. And they will probably continue to compete with the other leading manufacturers to be first to develop and deliver the latest new products and technologies to high-end customers. So consumers looking for the latest advancements in high priced hearing aids should be able to continue looking forward to a constant stream of innovation from the “Biggest Five Manufacturers,” including Widex/Sivantos. At the same time, they should continue seeing more moderate prices for entry-level custom hearing aids. “Sivantos” was grown out of the former “Siemens”hearing-aid business in 2015 with backing from EQT Partners, a private equity firm funded by Sweden’s Wallenberg family. EQT is known as a patient investor that has said it’s committed to the company’s long-term growth. “Widex” has been a family-owned company since its introduction decades ago and is known for its commitment to R&D and constant development. The merger should help meet Widex’s need for a stronger financial foundation to continue competing at both the high-end and entry level of the hearing-aid market. So, hearing-aid sellers can expect continuity from their sales, supplier and support relationships. And professionals should look forward to more cutting-edge products and technologies coming from the combined company. However there are countless uncertainties. Especially about how it will impact consumers and the professionals who depend on both companies. More important will be how the combined companies respond to competition from new market entrants. If Widex/Sivantos and the rest of the “Big Five” are able to compete successfully with new, lower-priced competitors while continuing to lead the industry in hearing-technology innovation, then everyone wins. 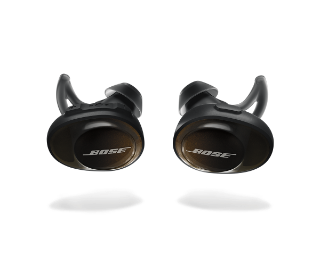 Bose SoundSport Free wireless earphones. The U.S. Food and Drug Administration, FDA today allowed marketing of a new device, the Bose Hearing Aid, intended to amplify sounds for individuals 18 years or older with perceived mild to moderate hearing impairment (hearing loss). This is the first hearing aid authorized for marketing by the FDA that enables users to fit, program and control the hearing aid on their own, without assistance from a health care provider. “Hearing loss is a significant public health issue, especially as individuals age,” said Malvina Eydelman, M.D., director of the Division of Ophthalmic, and Ear, Nose and Throat Devices at the FDA’s Center for Devices and Radiological Health. In authorizing marketing of the Bose device, the FDA reviewed data from clinical studies of 125 patients, which demonstrated that outcomes with self-fitting of the Bose Hearing Aid are comparable on average to those with professional fitting of the same device with respect to the amount of amplification selected, speech in noise testing and overall benefit. In addition, when participants self-fit the Bose Hearing Aid, they generally preferred those hearing aid settings over the professionally-selected settings. The Bose Hearing Aid has been labeled to inform the consumer when to consult a hearing health care professional. 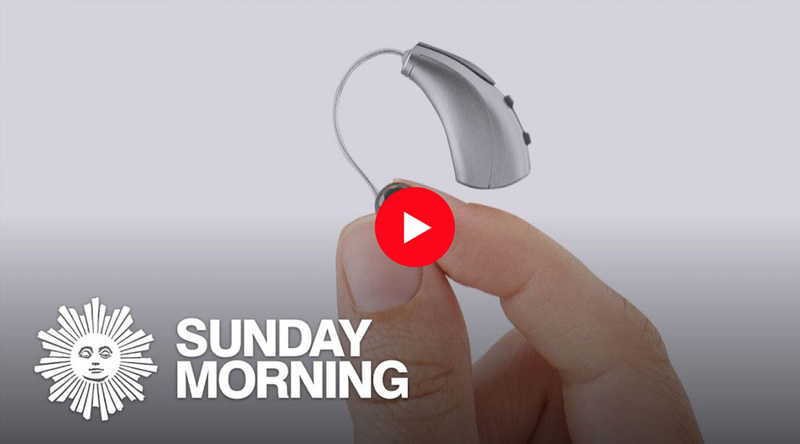 In this this Sunday’s new “Sunday Morning” CBS special, David Pogue takes a deep dive into all things hearing aids – past, present, and future. David explores the cost breakdown associated with hearing aid prices, and explains the value of some of the services you’re actually paying for when you purchase bundled hearing aids. Watch Video. MACHINE LEARNING software is available for some brands and models of hearing aids and more great improvements are promising. What is machine Learning? As any experienced hearing aid user knows, hearing in background noise is extremely difficult. Solving the background noise problem is elusive and while there have been a number of technological innovations since the dawn of digital hearing aids (like the directional microphone), only incremental progress has been made in providing a solution. Over the past few years, DeLiang Wang – a researcher out of Ohio State University – has been working on using machine learning and “deep neural networks” to help make it easier to hear a conversational partner in background noise. Wang’s software enables listeners (with normal hearing and hearing loss) to hear significantly better in background noise. “People in both groups showed a big improvement (link to complete report) in their ability to comprehend sentences amid noise after the sentences were processed through our program. People with hearing impairment could decipher only 29 percent of words muddled by babble without the program, but they understood 84 percent after the processing”. Incorporating Wang’s software into a hearing aid would almost certainly revolutionize hearing aid technology, but unfortunately the software is not on the market yet. Based on the following statement, we can safely assume that there will be a significant wait before this technology will be available to consumers. 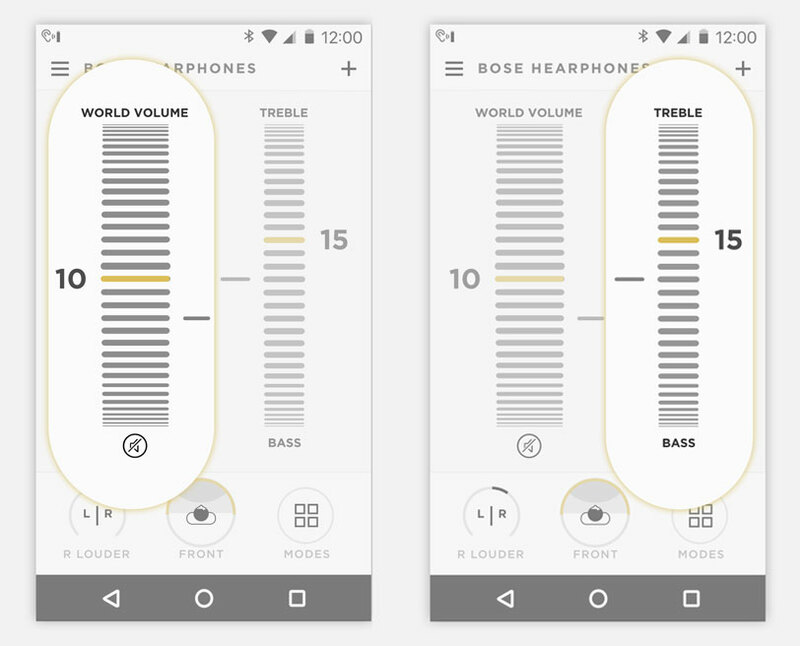 While the solution to background noise is still over the horizon, real progress has been made on improving sound quality and listening comfort through machine learning. The results of a recent double-blind study suggest that machine-learning can assist hearing aid users in more effectively finding their ideal sound settings; sound settings that lead to greater sound quality and listening comfort in a variety of difficult listening settings. What’s next for machine-learning hearing aids? We don’t know for sure, but we probably won’t see the next real advance for hearing aid users until machine-learning computations can be performed on the hearing aid itself (and that could take a long while). Once hearing aids are capable of super-computer computations – without the assistance of smartphones – we should be getting very close to a real-time speech-in-noise solution; a technology that should help you to finally hear better in background noise. ZUG, SWITZERLAND — Bio-pharmaceutical company Auris Medical Holdings announced disappointing results from its TACTT3 clinical trial for its promising tinnitus drug candidate, Keyzilen. Preliminary top-line data from the trial indicate that the study did not provide a statistically significant improvement in the Tinnitus Functional Score from baseline to Day 84 in the active treated group compared to placebo. The company’s investigative drug, Keyzilen, is an esketamine gel for intratympanic injection, intended for acute peripheral tinnitus following cochlear injury or otitis media in adults. The drug received Fast Track designation from the FDA last year, which helps expedite the review process. Value of the company’s stock dropped drastically this week, following the news. Several startup companies, including those backed by major pharmaceutical companies, are focused on discovering ways to treat hearing loss, tinnitus and other ear-related disorders. As much promise has been shown in potential drug treatments or therapies to treat these disorders, researchers face many challenges to developing an effective treatment. The failure of the Keyzilen tinnitus drug is, unfortunately, not the first disappointment for Auris Medical. In the fall of 2017, just weeks after Otonomy announced that it was cutting staff and suspending further clinical trials due to poor results from its Meniere’s drug trial, the company announced that it was terminating a late-stage study to treat sudden sensorineural hearing loss (SSNHL) with its investigational drug, AM-111. With the company’s share price under significant pressure, Auris shareholders held an extraordinary general meeting on March 12 and it was agreed that the company will merge with one of its subsidiaries, resulting in a stock split. Auris said in a statement that will be investigating the outcomes, including those in a previously conducted TACTT2 trial, and will provide an update soon.